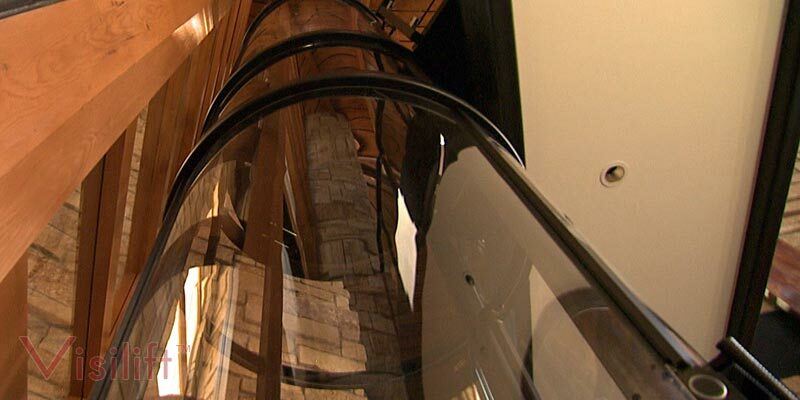 At Vision Elevators, we offer the highest-quality glass pneumatic elevators you will find. Our Vision line of pneumatic-driven elevators has several different quick, safe, and reliable models. Needing no pit or machine room, our pneumatic elevators require little installation or modifications to your home. Give your home a modern and luxurious look with one of our glass pneumatic elevators. There are many reasons you should get a residential elevator. Having an elevator in your home adds convenience to everyday tasks like carrying laundry between floors. People with physical disabilities or that are confined to a wheelchair benefit most from one of our glass pneumatic elevators. One of our home elevators gives people who struggle to use the stairs the independence and mobility back that they once had. 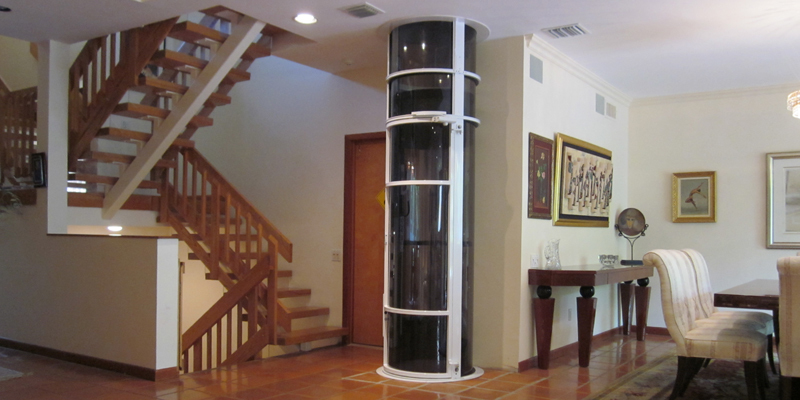 Our Vision 550 glass pneumatic elevator has a weight limit of 525 pounds and a cab diameter of 43 inches, allowing for someone in a wheelchair to comfortably ride it. Both our Vision 450 and 350 models are also great for residential use. The Vision 450 can fit two adults and is great for a busy family. With four stops available, you can take the groceries or laundry from the basement to any other floor in your home. The Vision 350 is perfect for adding luxury and convenience into your home. It is made for one rider, and its smaller size allows it to fit almost anywhere with little installation. The great thing about our glass pneumatic elevators is that they do not require a pit or machine room. This greatly cuts down on the cost and the changes that need to be done to your home. At Vision Elevators, we refer to many of our products as "glass elevators," when in fact they are made from clear polycarbonate. The panels are see-through and look just like glass, and the term "glass elevators" is used for easy recognition. 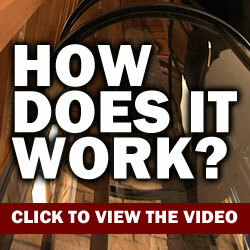 If you wish to have true glass used on your elevator, we can accommodate this on some models. However, using actual glass will add a considerable amount of cost to the elevator. To find out more about all the glass pneumatic elevators we offer at Vision Elevators, visit our website. There, you can find more specifications for each model and even request a free quote.